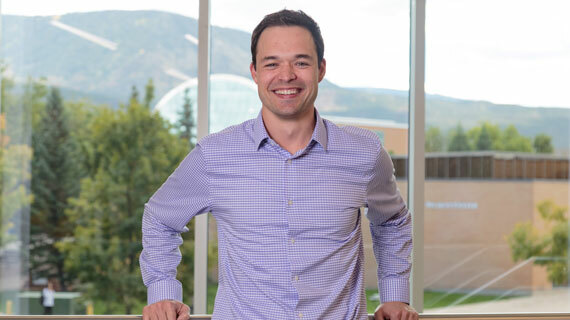 As Southern Utah’s entrepreneurship program continues to grow and develop, a new and enterprising position has brought former SUU student Landon Smith back to his alma mater as the program’s new entrepreneur in residence. This new position speaks to much of the change the entrepreneurship program has been experiencing. With the addition of an entrepreneur in residence in August 2018, students with businesses and business ideas can now go directly to someone with businesses of his own for advice and guidance as they take their first steps along the path of entrepreneurship. It was because of this desire to support himself and his family that Smith founded his two businesses, Jade Marketing Group, a marketing company which helps local businesses attract more customers through social media and marketing strategies, and Red Rock Publishing, which recruits elite writing talent to develop and provide marketing plans for independent contractors to accomplish their marketing goals. While Smith occasionally still practices law and manages his businesses, he has thrown himself into his position as an entrepreneur in residence. Smith says teaching students with drive has been a clear highlight of the position, and watching the students grow and develop their vision into life-changing businesses has been the highlight of his time at SUU.